The Golden State Warriors will fill out the remainder of the roster during the 2013 offseason with a couple of carefully handpicked free agents. The reported four-year agreement between the Warriors and Andre Iguodala certainly was a big move, but it also resulted in the loss of some key bench contributors from the 2012-13 team. Andris Biedrins, Richard Jefferson and Brandon Rush were jettisoned to the Utah Jazz in a move that cleared cap space for the Iguodala signing. 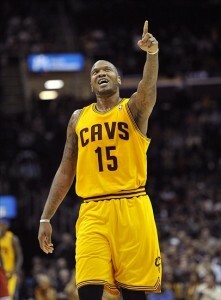 In addition, Jarrett Jack and Carl Landry reached deals with the Cleveland Cavaliers and Sacramento Kings respectively. The end result is a team with no reliable bench players other than Festus Ezeli and Draymond Green. Either Klay Thompson or Harrison Barnes will come off the bench in 2013-14, which strengthens the second unit to some extent, but the Dubs need more. 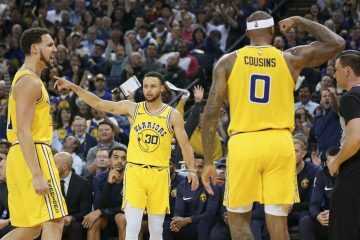 Hence, they reportedly ironed out a three-year deal with Marreese Speights who played with the Memphis Grizzlies and Cleveland Cavaliers in 2012-13. The 6’10’’ forward averaged 8.3 points and 4.9 rebounds per game on 44.5 percent field goal shooting. Part of the reason Golden State coveted the reserve big man is his ability to stretch the floor. With Landry gone, the Dubs needed another frontcourt player with touch away from the basket and they found it with Speights. The former Cavalier converted 50 percent of his shots from 16-to-23 feet in 2012-13 per Hoopdata. In addition, he was solid on mid-range jumpers as evidenced by his 46.9 percent conversion rate on such shots during the same campaign per NBA.com’s advanced stats tool. For the sake of context, Landry hit 43.9 percent of his mid-range shots in 2012-13. The move helps bolster the Dubs’ second unit, but the team still has more needs. 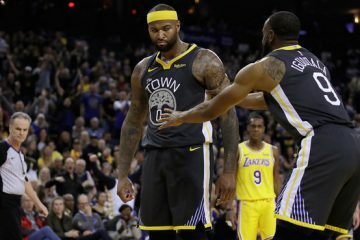 Golden State probably still requires two backup point guards as well as one backup big man. The Dubs orchestrated a smart maneuver in agreeing to a sign-and-trade with the Denver Nuggets for the services of Andre Iguodala. The move gives the Warriors’ brass a massive trade exception for both Jack and Landry and additionally allows them to use the mid-level exception of $5.15 million to sign a free agent. The MLE can also be split up amongst multiple players. One last important note: The NBA’s latest collective bargaining agreement was constructed to limit the spending of teams for the sake of encouraging competitive balance. Starting in 2013-14 if a team acquires a player in a sign-and-trade, the apron ($4 million above the tax line) effectively becomes a hard cap for the remainder of that season. Projections place the apron at $75.6 million (the apron is $4 million above the tax line). 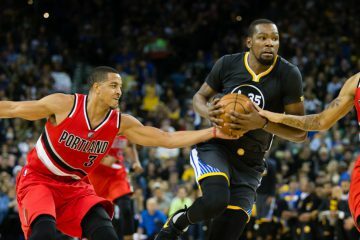 Now that we got that information out of the way, who can the Dubs target in free agency? 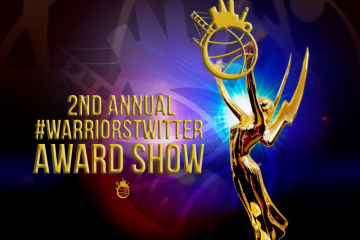 Stephen Curry appeared in 78 games in 2012-13 but concerns about his durability still exist. In addition, the Warriors’ leading scorer has demonstrated that he is a difficult matchup off the ball when running through screens. Therefore the Dubs need a backup guard capable of playing the point whilst defending 2-guards. This gig is perfectly suited for Chauncey Billups’ talents. He possesses the size and strength to deal with shooting guards and also can run an offense and make shots rain from the perimeter. The fear with Billups is his injury history. Since rupturing his Achilles’ tendon he has not been the same. The former Detroit Piston has appeared in 42 games since the start of the 2011-12 campaign. That is less than ideal. Consequently, the Warriors’ brass will probably set their sights on Nate Robinson (again), Daniel Gibson, Mike James and Will Bynum. All four of these players have proven they are more than capable of spelling a starter and can even play some big minutes on occasion when injuries alter the makeup of the starting lineup. Mind you, all these players are undersized and consequently cannot be relied upon to defend bigger guards. That’s before we even take into account Gibson’s injury history and Robison’s likely quest for a big payday. These factors probably give the Warriors pause. Instead, it’s more likely they opt to go after a combo guard. Someone much more suited for the shooting guard spot but that will not appear lost when he is entrusted with the offense. One has to think Kirk Hinrich would have been a perfect choice in this case if he was available, but he is currently under contract with the Chicago Bulls. Perhaps the Dubs make a few calls and see if they can swing a trade for him. Randy Foye would have been an intriguing choice in this spot, but he has reportedly agreed to join the Denver Nuggets and thus is no longer on the market. In other words, the Dubs could very well end up being forced to pick among the previously mentioned guards. With Speights now a member of the Warriors, management can focus its energy on acquiring a third rotation big man. His job requires him to play decent interior defense, rebound and catch and finish around the basket. There are a couple of players that fit that role, but more importantly they must come cheap. Bob Myers will not be breaking the bank for a reserve. Golden State might want to inquire about Chris Andersen. The sentiment seems to be he will re-sign with the Miami Heat, but he is still worth looking into. He is a high-energy player, good rebounder and rim protector. In the event Myers strikes out with Andersen, Kenyon Martin is also available. Martin’s range and offensive repertoire are both limited, but much like Andersen, he can catch the ball around the basket and finish. Also, he is a rugged interior defender with good lateral mobility. In a perfect world, the Dubs would split the mid-level exception and sign a point guard and a big man. Afterwards they would sign two other players at the same positions for the veteran minimum to help fill out the roster.